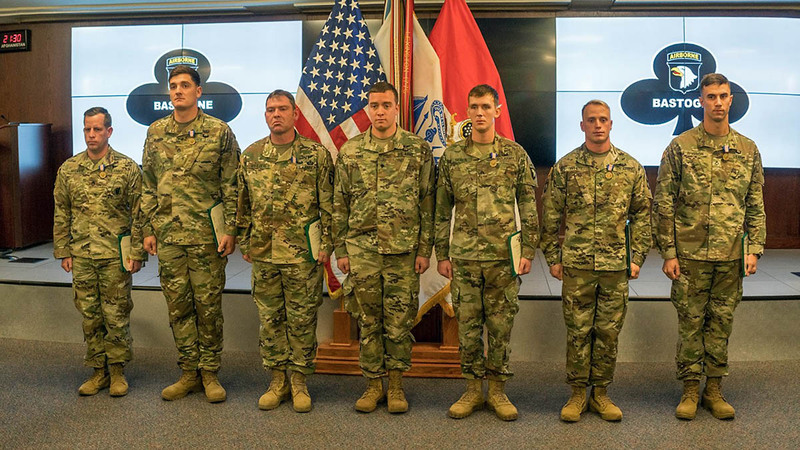 Fort Campbell, KY – Six Soldiers belonging to C Troop, 1st Squadron, 32nd Cavalry Regiment, 1st Brigade Combat Team, 101st Airborne Division (Air Assault) received the Soldier’s Medal during a ceremony held, November 28th, 2017 at McAuliffe Hall, the division headquarters. Staff Sgt. Beau Corder, Staff Sgt. Richard Weaver, Staff Sgt. Engel Becker, Sgt. Damon Seals, Spc. Christopher White and Pfc. Ryan Brisson were recognized by Gen. Mark A. Milley, Army chief of staff, for their heroic actions following a UH-60 Blackhawk helicopter crash, January 31st, on Fort Campbell. Fort Campbell, KY – At approximately 10:30pm Wednesday, September 7th, 2016 a helicopter made a hard landing during a routine training exercise on Fort Campbell. All five Soldiers aboard the aircraft suffered injuries and were transported to medical treatment facilities. The nature of their injuries is not releasable at this time. 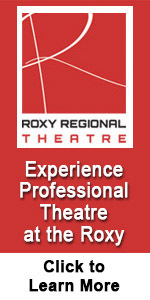 The incident is under investigation. 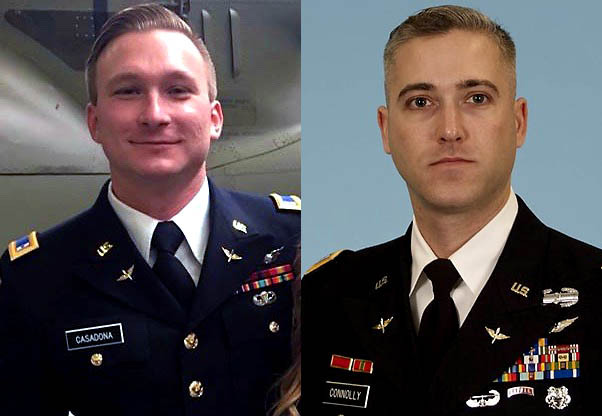 Fort Campbell, KY – Two 101st Airborne Division (Air Assault) pilots who were killed December 2nd as a result of a helicopter crash near Fort Campbell have been identified. Chief Warrant Officer 2 Alex Caraballoleon, 35, a native of Patillas, Puerto Rico, enlisted in the Army in 2003 as an AH-64D Apache attack helicopter mechanic. During his six years as an enlisted Soldier, Caraballoleon served in numerous assignments, achieving the rank of sergeant, before being selected to attend the Warrant Officer Candidate School in 2009. 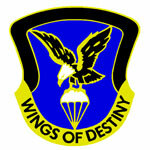 Following commissioning as a warrant officer and completion of the Rotary Wing Aviators Course, he served as an Apache attack helicopter pilot with Company B, 1st Battalion, and 2nd Squadron, 17th Cavalry Regiment, 101st Combat Aviation Brigade, 101st Airborne Division (Air Assault), Fort Campbell. 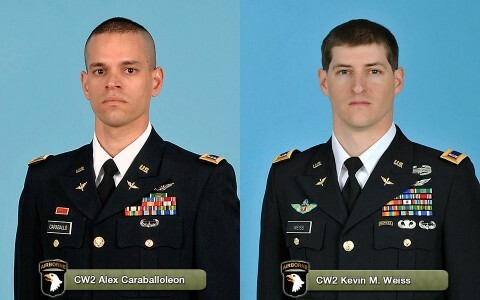 Fort Campbell, KY – Two 101st Airborne Division (Air Assault) pilots were killed when their helicopter crashed near Fort Campbell, KY, at approximately 7:00pm, Wednesday, December 2nd. The crew members were flying a two-seat AH-64D Apache during a routine training mission when the aircraft went down approximately 12 miles south of Fort Campbell. Fort Campbell, KY – A 101st Airborne Division (Air Assault) helicopter crashed near Fort Campbell, KY, at approximately 7:00pm, Wednesday, December 2nd. The crew members were flying an AH-64D Apache during a routine training mission when the aircraft went down approximately 12 miles south of Fort Campbell. The area has been secured by Montgomery County (Tennessee) Law Enforcement and the incident is currently under investigation. 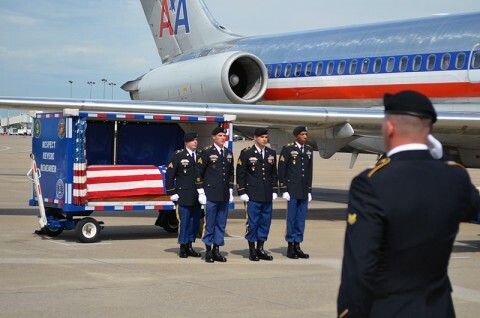 Palmer, TN – An unexpected and emotional reunion occurred Monday in Grundy County, Tennessee, when 17 soldiers of the 101st Combat Aviation Brigade, 101st Airborne Division (Air Assault) escorted the remains of a Vietnam veteran back to his home town and family, after being missing in action for 45 years. The veteran was Spc. Marvin Foster Philips of Palmer, Tennessee. He joined the Army at the age of eighteen and was assigned to the 114th Assault Helicopter Company, 101st Airborne Division, were he was a UH-1B Huey helicopter crew chief. On September 26th, 1966, he departed on a combat assault mission in the Delta region of South Vietnam over Vinh Binh province and was never seen again. 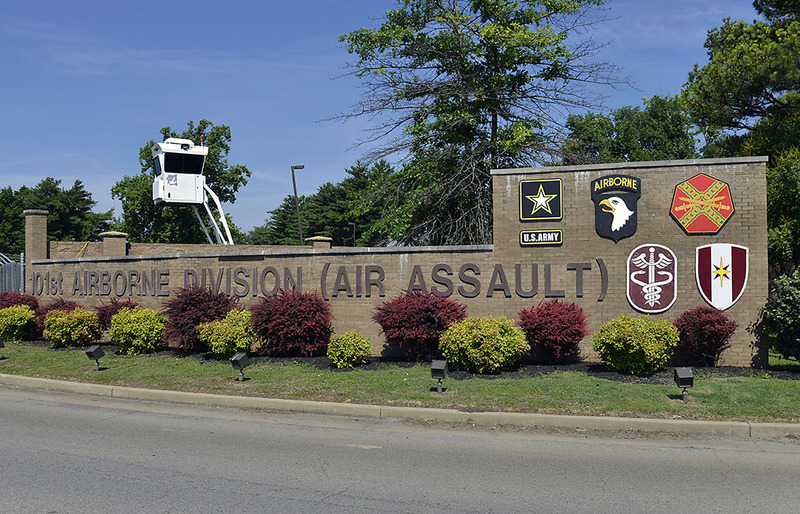 Nashville, TN – Tennessee National Guard officials announced today that investigators from the Army Safety Center and Army Aviation Center have concluded their investigation into the crash of an OH-58D Kiowa Warrior helicopter July 9th in Campbell County. Nashville, TN – Major General Max Haston sadly announced today that 1st Lt. Thomas Joseph Williams, Jr. and Chief Warrant Officer 4 Daniel Cole both of Knoxville were killed Saturday when their OH-58D Kiowa Warrior helicopter crashed in Campbell County. The cause of the crash is under investigation at this time. 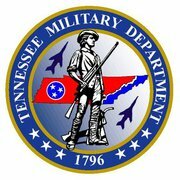 Nashville, TN – At about 5:30pm EDT, Saturday, July 9th, a Tennessee Army Guard OH-58D Kiowa Warrior Helicopter with two pilots on board crashed in Campbell County, Tennessee. Both pilots were killed in the crash. At the time of the accident the crew was conducting a routine training flight. At this time the cause of the crash is not known. 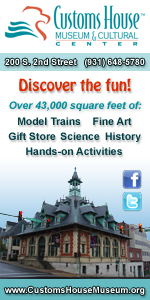 We will not speculate as to the cause. 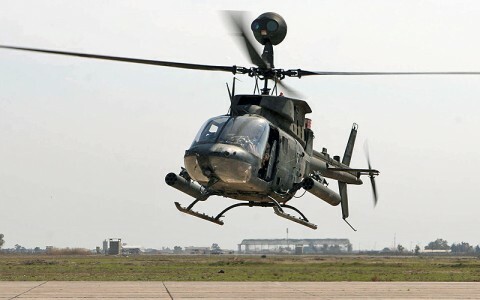 OH-58D Kiowa Warrior Helicopter similar to the one that crashed today.